How often do you buy Smartphones or any other Products? As the no. of Online Shopping sites are increasing, different shopping sites have different prices for each product. Sometimes a device is available for Rs. 30,000 on some shopping site while for Rs. 27,000 on some other shopping sites. This variation occurs due to different seller providing the products. Some seller sell it for less price as they receive the products by paying less brokerage to the middle guy. But ultimately some of us, buy products from one site & realize it was lot more cheaper on the other site. It happens with me every time! As New Year is around the corner, most of us might be waiting to grab our favorite smartphones at the best price. But how would you know, at what time, which Site is providing that product at the best price? SuperSmartdeals could save your pockets & provide the best available price from thousands of shopping websites. Before finding SuperSmartdeals, I used to buy stuffs just by searching the name of the required product & going to the top 4 results. I used buy the products from anywhere, which opened first without researching its price on other websites. Most of the people Prefer top Online Shopping websites in India like Amazon India, Snapdeal, Flipkart or Ebay India. If you decide just by comparing prices from few of this websites then you are the biggest fool. 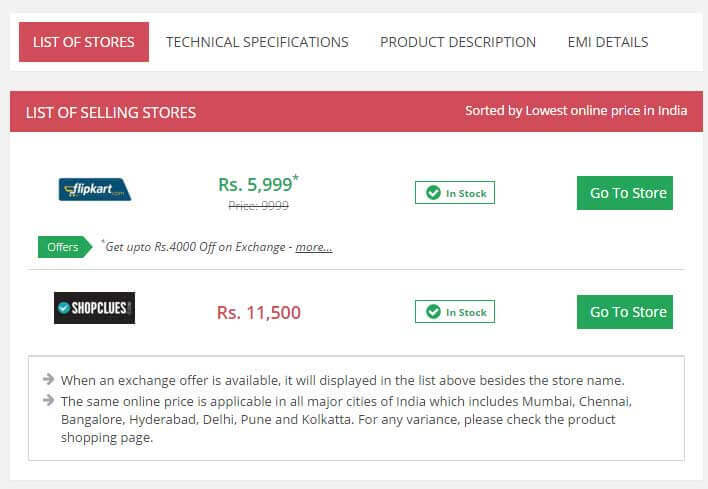 Compares prices from almost thousands of ecommerce website & find the best deal. I bought a laptop by finding the best deal of the laptop from SuperSmartdeals. 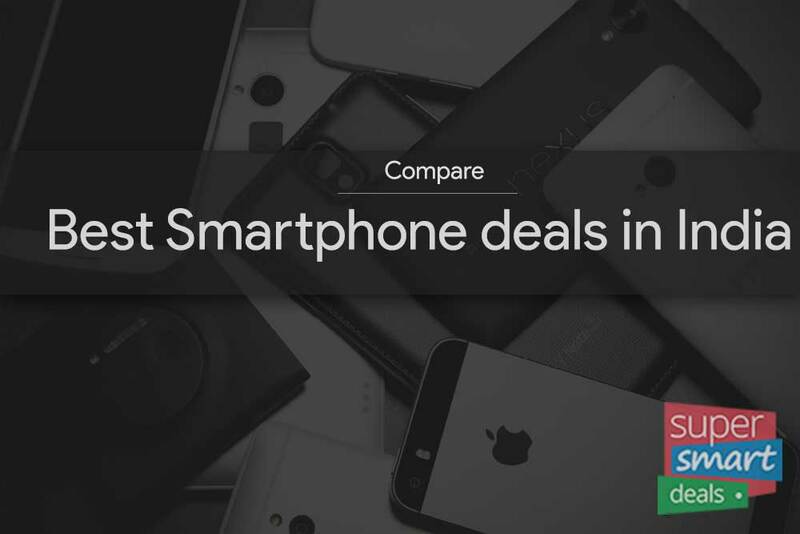 But on SuperSmartdeals, you can compare Smartphone prices & find the best Price. 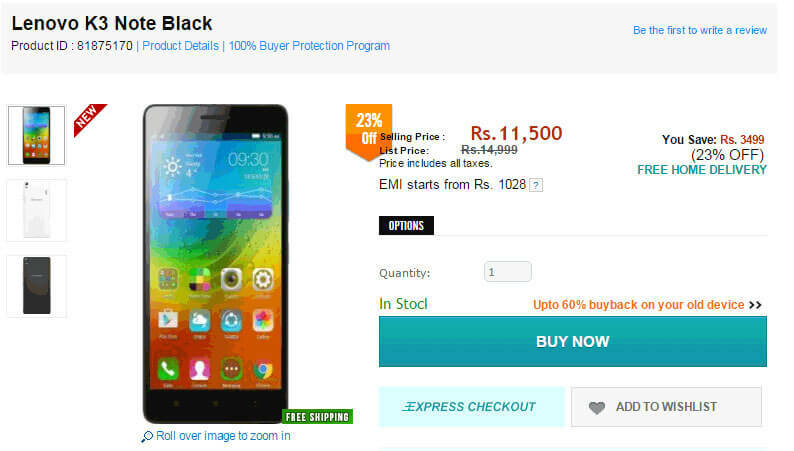 As the above image, SuperSmartdeals compares prices from all the online stores & shows the least price. 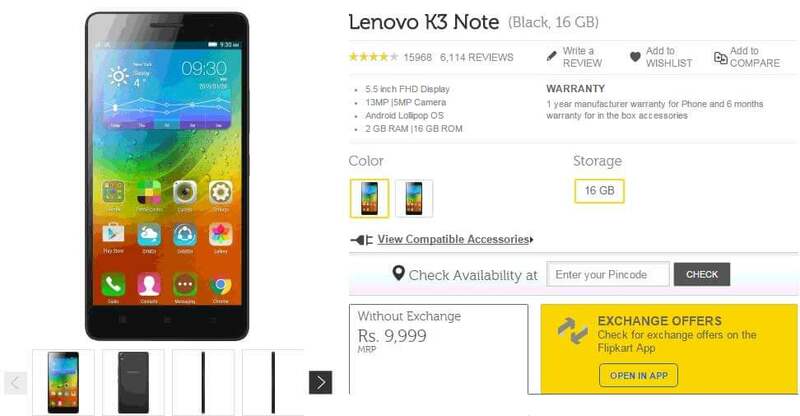 Least price is Rs.5,999 (Including Exchange offer). If you are someone who loves to buy new stuffs every next day, SuperSmartdeals could be a perfect money saving website. You can Compares Prices of Smartphones & Accessories, Compare prices of best TV’s, Home Appliances and almost everything available on Online stores. Now you don’t need to wait for Online Shopping sales as SuperSmartdeals finds the best price of all the Appliances and other products & all this for free. There are almost thousands of best tablet deals on SuperSmartdeals & you are a gamer like me, Checkout the best Gaming console deals & save big bucks for buying other gaming products. So, rather visiting on any other Shopping websites in India, Just visit SuperSmartdeals & find the best deals of the product you are looking for. Although you might find many price comparison sites but SuperSmartdeals has very clean interface with many options to choose from. I personally think, its worth a try. Go checkout Moto 3rd Gen for the best price i.e Rs. 7,999. Share this site with your friends so that they too can save their money.